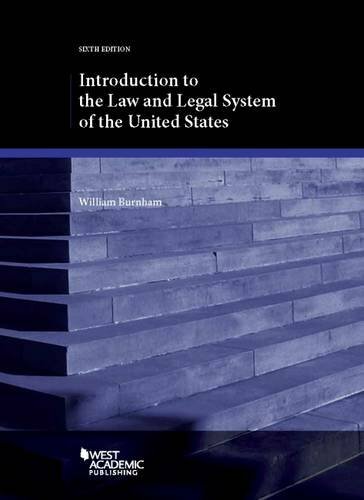 This text provides an introduction to U.S. law. It is intended for law students, lawyers, and legal scholars from foreign countries; U.S. non-law graduate and undergraduate college students; and anyone else who seeks a ""big picture"" of the law and legal system, including U.S. law students. Not a casebook, it explains the major substantive areas of the law in narrative form and includes citations to cases and sources for additional detail. In addition, the book has chapters on the essential basic history and governmental structure necessary to understand the legal system; the legal profession; the theory and practice of the adversary system of justice; and statutory interpretation and caselaw reasoning.